This is truly a well researched and written article, Nathan. I learned a tonne of things from your article. Thank you so much for such an informative article. Knowing what I now know from this gold mine of an article I will certainly do my SEO on my site with more confidence. Keep up the good work. Thanks Dennis, I appreciate that! GREAT great post on SEO. Simple wow! !amazing article as always! Clearly structured article on how to reach success in SEO. Performing all points is possible to achieve the top – this isn’t magic, just a hard work. I like using LSI words that you describe in point 20 to get new ideas for content. Usually, I use K-meta tool for this. 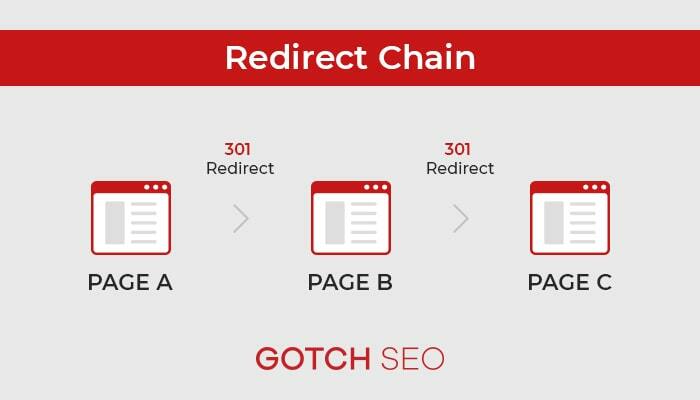 Amazing article and research on how easily we can remove the tiny mistakes and enhance the on-page SEO. Hi Nathan,Thanks for the great tips! I’m new to online marketing, and this is really helpful! Since getting started, I’ve been bombarded by “spin writers” and such to create a TON of content quickly, but you seem to say that these search engines have become sophisticated enough to determine when your content is crap. Am I understanding that right? You say that all content should be unique, but what about Terms and Privacy? I see many sites in top10 have not unique content here. Also I hear that Google allow not unique content for this pages. I not sure that this is true but looks like this is controversial moment. What your opinion about unique content for Terms, Privacy pages? You mention IMG extensions. Are keywords in the IMG URL considered part of the density (i.e. should they be included in the 1-3%)? Great article. Full of amazing advice I’m implementing on my own website. I have a blog on my website. On the blog page it shows snippets of the blog articles. When I put my website into Siteliner it tells me that this is duplicate content. Should I be telling the Meta Robots that this is a No follow page to avoid duplicate content? Completely agree with you on this. On-page seo is not limited to the old school stuff. It’s about how good and valuable content you give to your readers. Today readers for more intelligent and look for content that are new, good and more detailed. The power of social media has thus enhanced the use of valuable content for good seo signal. Hey Gotch, thanks for another great article. I do have a question. It’s on duplicate content. Most of my articles are unique (or so I thought lol) I either wrote them or had someone write and i fixed. I plugged my site into siteliner tool u posted. For what it would scan my site is coming up %5 duplicate content. Also, my blog page where my last five posts are going coming up %55 duplicate content. Then I clicked on it to see what the tool stated as duplicate. I’m sure it’s the headlines, some content but very little, tags at bottom but it’s also highlighting all my links to social media at bottom etc. For the headlines and tags I’m basically reengineering what someone else is doing on the internet to rank for keywords in my niche. So my headlines are kind of the same but not exact. Does that make a difference in Google’s eyes if Headlines are close. I know when something happens in the news or people in the same niche ranking for similar keywords most are posting same type of headlines etc. My articles are getting indexed and some are on page 2 and 3 and I haven’t really started building links to them yet. That’s basically on page that’s ranking them a bit. But after reading this article and plugging in to your tool I don’t want to do all this work then I have problems down the road. Do you have any suggestions? Also on H1 and H2 I see you only put H1 one or two times. How many H2 and H3’s do you suggest? I usually put 1 or 2 H1 and 4 or 5 H2. Thanks, and I am really looking forward to hearing back. Thanks for the comment. I wouldn’t stress too much about title similarities. Duplicate content only becomes an issue when entire pages are duplicates. Not only a few words. Thanks for quick reply. Was stressing a bit about that because of my last ten articles posted. Do you pay much attention to google sandbox? I have never been there but I plugged in my site today and it is saying it’s possible I’m in the sandbox. I check webmaster tools and few other things doesn’t seem to be a problem any place else. Thanks. after a few weeks google index my https website but the http version is still there now im getting duplicate home 2 different version http and https do you think its ok and not worry about that? Good post – with certain clients it’s especially important to find some easy wins like this to really get the ball rolling and show some results without a lot of effort. It can pave the way for getting the more difficult but certainly no less important changes implemented. A lot of information here, Nathan! Every blogger should keep this in mind when creating new content. Apart of on-page SEO, we also need to consider off-page SEO. This article is very good! one of my questions, why the category and tags do not need to be indexed? there were found only tag that does not need to be indexed and the categories to be indexed? I’m still in 2 minds about the duplicate content issue on wordpress category pages (though definitely noindex tags!). I think category pages are of great use for visitors, bringing together useful info. I have some category pages on my site that are indexed, rank well, bring in visitors, have page rank and authority, despite a number of online tools warning me about duplicate content. I do try and have 300-400 words at the top of each category page, so I guess that must be helping reduce the duplication issue. Being in the travel niche, I know most of my competitors also have category pages bringing together trips and tours to various destinations, so perhaps it’s just a case of us all having some kind of duplication. Now, if I was starting over I would noindex them from the start but I’m reluctant to remove them from the index now. I guess the best way to have a category page now is to manually produce one and get that indexed and ranked. Right, I’m off to read the rest of your site! I read many articles on SEO strategies but most of the articles mention theories only. It becomes difficult to understand or predict the actual problem or problem solving technique only from theory points. But Nathan explained all his articles with examples which he faced in his experience. These examples really clarifies all doubts and gives a apparent idea regarding SEO. Thanks Nathan to reveal such a experienced knowledge. I appreciate the kind words Harry! Thanks for you great blog post! I’ve learnt alot about Onpage SEO from your content. You taught me to optimize my website for people, instead of robots. I totally agree with you about website speed when it comes to Onpage SEO. It’s one of Google ranking factors. I’m running a Magento e-commerce website and speed takes an important role for UX. Loe speed website = people don’t like = no sales = no conversion = Fail. Is it true? So, i can add some useful information for your blog post about speed optimization in Magento. I’m using an extension for Magento called Full Page Cache by BSSCommerce. If WordPress has W3 Total Cache, Magento has Full Page Cache, too. They’re must-use cache tools. WOW! Even though I have spent many many hours reading and implementing best practices for on-page SEO, I still found a few things here that did not know. Thank you so much Nathan for sharing your expertise/experience with us in this excellent how-to guide. Thanks for the comment. I’m glad I could help and let me know if you have any other questions!